"Thank you so much for the beautiful flowers... they looked so exceptional and the colors were absolutely beautiful. We were all very pleased and enjoyed working with you. Thanks again for helping make our wedding day for our Kids PERFECT!!!! "Thanks again for everything.....I had so many compliments regarding the flowers. So many people said they haven't seen that large of roses. They opened up so beautifully." "Thank you so much for the beautiful and creative job you did on the flowers for my wedding in July! I was so thrilled with how everything looked and I LOVED my bouquet! Thank you so much for working with my price range and for your helpfulness as I made decisions regarding which flowers to use. 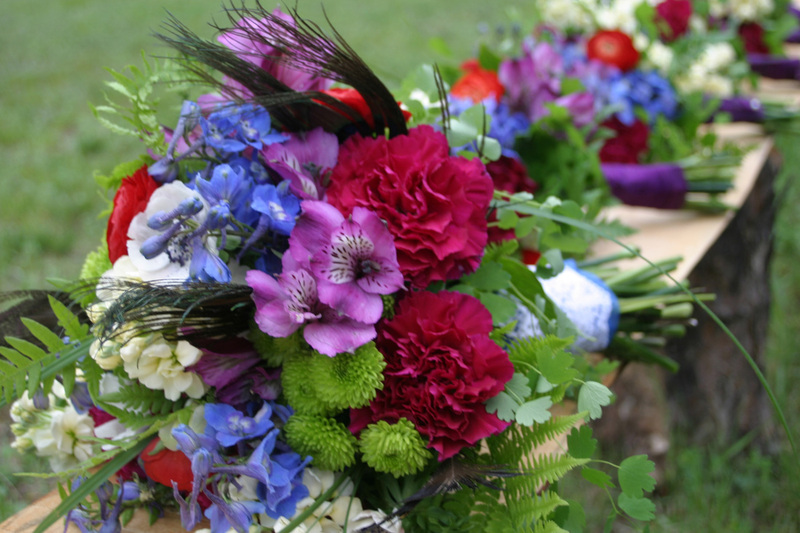 I will certainly recommend you to any other brides I know who are looking for a florist."